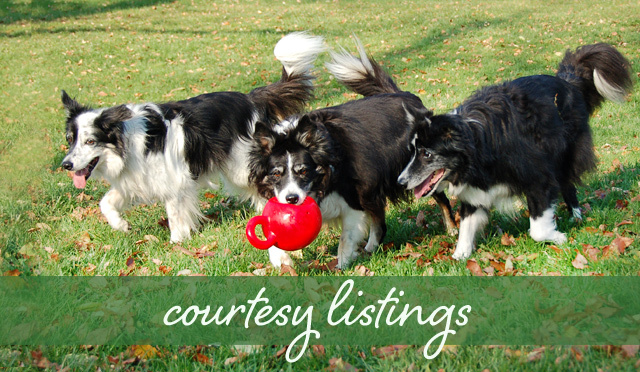 The following Border Collies and BC mixes are available through other agencies or as independent placements by owners. The adoption of the dogs listed below will be handled by the individual home or shelter listed in the dog's bio. Glen Highland Farm is available to assist if needed. For more information about these dogs, please use the contact information provided with each dog. PLEASE BE AWARE that you need to check people out before handing over your dog to someone you do not know. There are unscrupulous people who appear to be good adopters so be cautious and check references, especially asking for a neighbor's phone number so you can be sure that the information about them is accurate. We recommend a TRANSFER OF OWNERSHIP agreement so that you can have some written agreement about your dog's future situation in the event it does not work out for the person to keep the dog. It is important to insure that your dog does not eventually land in a shelter where he or she could be euthanized. Instead, the person agrees in writing to notify you so that you can then step in and take an appropriate course of action. 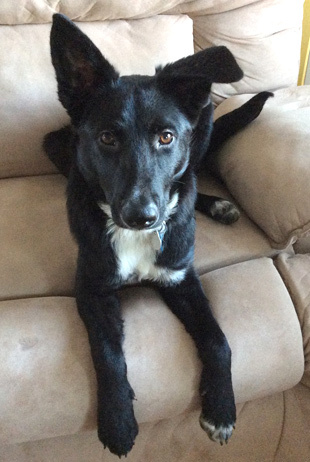 Smart, energetic, cuddly, 6 month old NICK, a Border Collie mix pup, was rescued from a rural kill shelter and now is in foster getting daily basic training, taking long walks and lounging on the couch. This gorgeous boy is smart, eager to please, would love a mission, after which he will happily hang out. Nick is healthy, fully vetted, neutered, heartworm negative and on heartworm and flea prevention. He enjoys the dog park but will keep returning to you to make sure you are ok. A super sweet 40 pound pup who loves belly rubs, toys and good food. If you value loyalty and intelligence, would enjoy training an smart pup , and have a mature calm home, Nick is for you. We prefer a border collie experienced adopter. We will transport. Coverage area includes the New England states of Massachusetts, Connecticut, Rhode Island, Maine, New Hampshire and Vermont, as well as Eastern New York State and Northern New Jersey. ECHO’s mission is to rescue herding breed dogs, primarily Border Collies, Aussies, Cattle Dogs, etc, from high kill shelters within the tri state area, concentrating on NYC and NJ. Currently serves the Mid-Atlantic region, including Maryland, Delaware, Pennsylvania, New York, New Jersey, Virginia and West Virginia as well as the District of Columbia. Primarily covers Virginia and North Carolina; sometimes South Carolina, West Virginia, and Maryland. BRBCR serves including Virginia, North Carolina, Maryland, West Virginia, Pennsylvania, Delaware, and the District of Columbia.